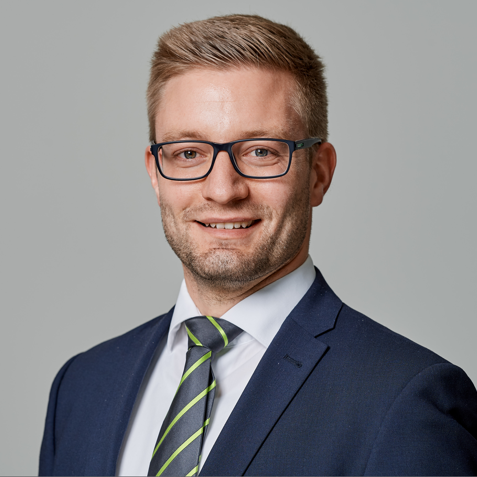 Maurice is currently studying in the part-time MBA Class of 2020 and previously graduated from the Bankbetriebswirt and Bachelor of Arts programmes at Frankfurt School. In this part-time MBA module with Prof. Flood, we were provided with many insights about organisational change and development. He showed us, which skills are needed to lead and manage change in a company. Good preparation is the key for a lively discussion in class – several cases and readings were the basis for that. 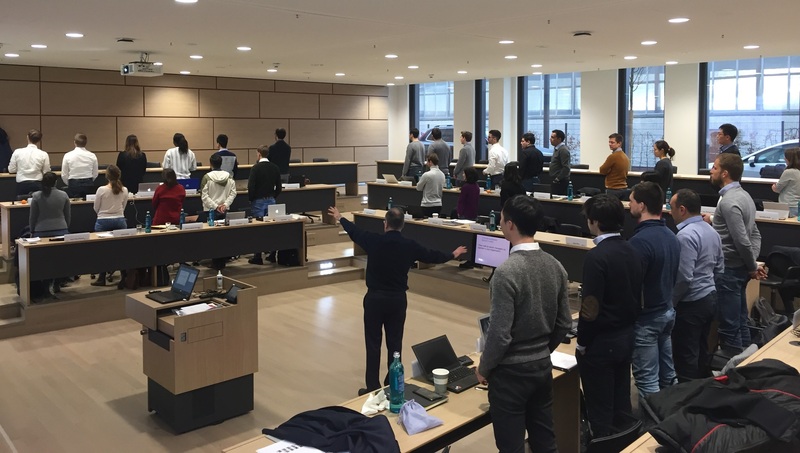 Alongside some classical teaching and interesting class discussions, six groups held presentations on both the theory and implementation of change management, team-building and Machiavellianism. The last topic led to a very controversial discussion, as my group was responsible for the presentation of „Pro Machiavellianism“ and some fellow students were rather shocked about this particular school of thought. Luckily we could resolve this situation, when the following group presented the opposing arguments to the same topic. Overall, I experienced a fully committed and interactive class in that module. Everyone was interested and actively taking part in the discussions. After our presentation on Sunday, I tried to unmask the professors‘ very smart and somewhat equally Machiavellian tactic of reminding us of the grades for participation in class on Friday. Prof. Flood has a great way of including the students in class and a talent for creating his notoriously vivid whiteboard notes and illustrations. 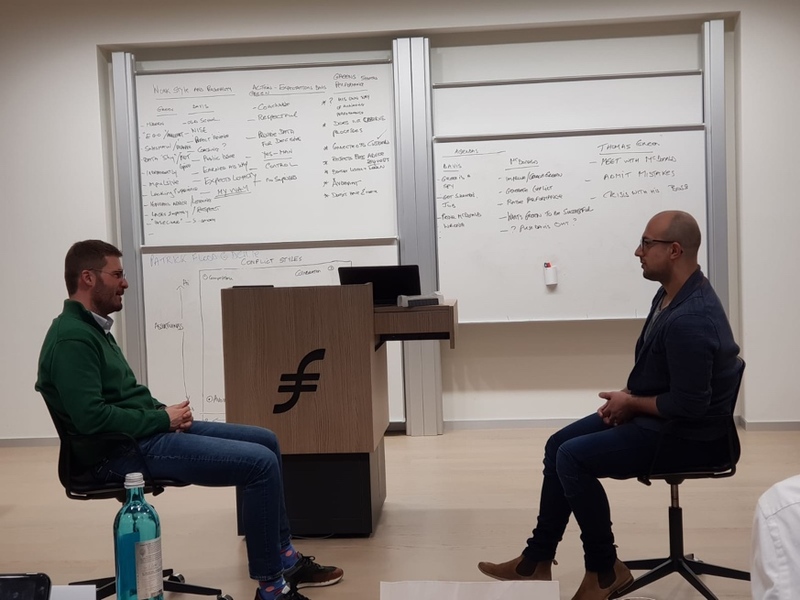 Two students also had the chance to take place in a real life situation: Firing an employee, but in a nice and appreciative way – also an important thing to learn for future managers. How does change management affect my daily work and life? In this particular MBA module we learned about change management for whole companies with practical examples. However, change management is present in a lot of situations, some of them much smaller than expected: For example, you can think of any situations or processes that made you think “this is clearly inefficient and could be done much smarter, faster or cheaper”. Often you need to convince colleagues, staff or even your own managers to introduce necessary changes to make things better. In this course you learn a lot about how to trigger change, because it is highly important what to do before, while and after the actual change process. You also understand a lot about yourself and your private life. You will learn what motivates people and how our minds work. You will be able to interpret behaviour of friends, family and strangers in order to react more appropriately in different situations. You will be a better negotiator and appear more convincing in your demeanour. As I mentioned before, we were given specific readings for this module and „Leading Change“ by John Kotter was regarded as „The Bible“ for this particular topic. Reading this book (or also listening to the audio book in our modern times) helps you follow the professor’s lecture as well as fellow students during their presentations. Additionally, the case studies are an important part of the discussions in class and I would encourage everyone taking this module to read them before class to get the most value out of the experience.